As any voracious reader knows, there are so many books out there, it can be hard to choose just what to read next. So what could be better than a hand-picked recommendation from someone in the know? 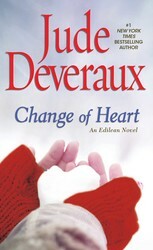 Every Wednesday the XOXOAD team likes to find out what some of its favorite authors are reading; today we’ve asked Jude Deveraux, author of Change of Heart, out 10/21, to tell us! I love biographies. Always have. The latest one I read is I’ll Drink to That by Betty Halbreich and it is one of my favorites. She has been a personal shopper at Bergdorf Goodman’s in NY for over 40 years — and the book is hilarious. I devoured every word of it. It was so fascinating reading of her glamorous life in the 1930s that I started thinking of writing a book set then. No dust bowl! I was going to follow Betty’s life of martinis and rhumbas. In my writing, I finished a novel about a young couple who have some deep problems in their lives and how they help each other overcome them. The best part in the writing was that I got to flip the villains around to something else. 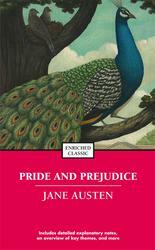 I am a few days away from finishing a book that follows the plot of Pride and Prejudice. They put on the play and find themselves living the plot. It was interesting to apply modern laws to what happened in Jane Austen’s time. I’m glad that you can no longer run off with a fifteen-year-old girl and come out richer for it. I made lots of additions to Change of Heart. Miranda and Frank spent more time with each other, and I got to see the kids as adults. I liked that Eli had been Taggertized. Nerd becomes hunk. And Chelsea’s beauty had caused her many problems in life. It was great to see them get back into their old ways of solving people’s problems. I do hope you like the new stories! Two childhood playmates grow into more than just friends. A tough broad who could have stepped straight out of Stephen Sondheim’s repertoire, Betty Halbreich has spent nearly forty years as the legendary personal shopper at Bergdorf Goodman, where she works with socialites, stars, and ordinary women off the street.